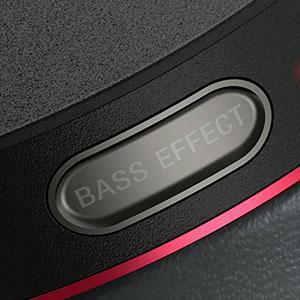 The MDR-XB950B1 will set your pulse racing with vibrating bass. Its powerful 40mm neodymium drivers combine with beat response control and an electro-bass booster to reproduce the thump and thrill of club sound. With built-in Bluetooth, you’ll never need worry about wires getting in the way as you dance to your favorite tracks. Step up to punchy, resonating rhythms. Also, comes with a new smartphone app to optimize bass and 4 surround sound effects to feel more depth and clarity with an electro-bass booster that recreates the thumping beats in your favorite dance music. It comes with audio cord that allows you to listen to supplied audio cord, so you can use it on a device without Bluetooth. Tailor made for Electronic Dance Music lovers. The enhanced Extra Bass technology enables you to enjoy the intensity of deep bass notes in a variety of locations and scenarios, just like being at an actual club or live festival. 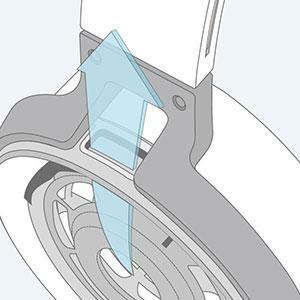 The Bass Booster amplifies the low end frequencies through a specially designed duct in the housing, while an improved seal between the driver unit and your ears keeps sound in. Now, set the perfect sound for every song. 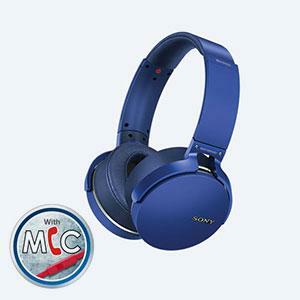 Sony Headphones connect app4 lets you adjust your bass levels and gives you presets for outdoor stage, club, hall, or arena-style sound. Based on radio waves, Bluetooth technology allows you to make a quick, short-range wireless connection that won’t be interrupted by objects in the signal path. 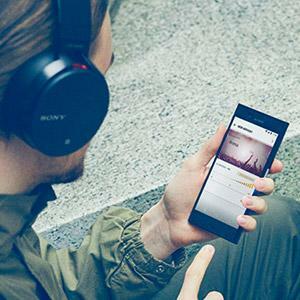 Once paired, you’re free to stream all of your favorite music from your smartphone or tablet to your headphones. 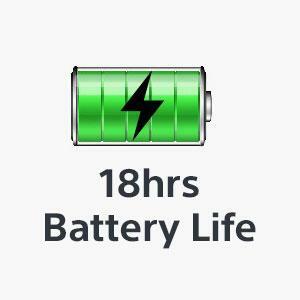 A longer battery life gives you extended listening with 18 hours of superior sound. 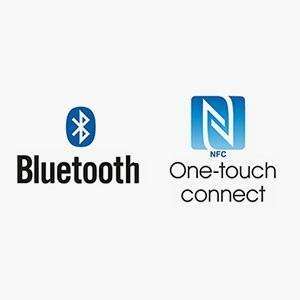 And you can enjoy the freedom of wireless connectivity with Bluetooth and NFC one-touch listening. 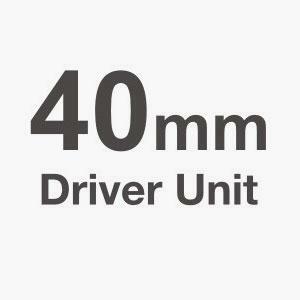 40 mm neodymium driver unit exclusive to Extra Bass/Swivel Ear cups for easy portability. Lightweight 40mm dynamic Neodymium driver units enable the headphones to deliver a punchy, rhythmic response to even the most demanding track. Combined with a highly sensitive diaphragm, you’ll be able to turn the headphones up louder and still enjoy clear, precise audio across the spectrum. The built-in button and Mic on the headband enables you to take hands-free calls from selected smartphones while listening to music. Switch easily between songs and calls with no need to remove your headphones. The oval ear pad design with pressure-relieving cushions has been engineered to match the shape of your ears, ensuring a secure fit with minimal sound leakage. 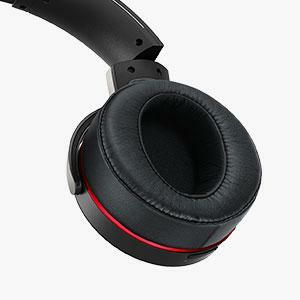 Ultra thick ear pads with seamless 3D sewing seal in sound, reflecting acoustics back towards your ears. 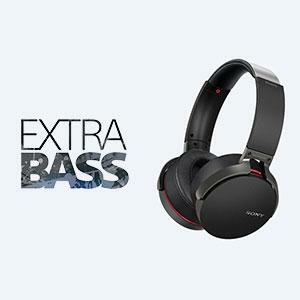 As a result, you’ll hear more of your music with less outside interference and maximum bass signatures. The wideband frequency range – spanning 3Hz to 28kHz* – is designed for today’s bass-heavy music. 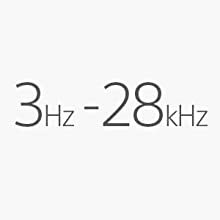 The 3Hz low end of the frequency range picks up every powerful sub-bass note, while at the 28kHz high-end, you’ll be able to enjoy vocal melodies in outstanding clarity. * Passive operation only; 20Hz to 20kHz A2DP. 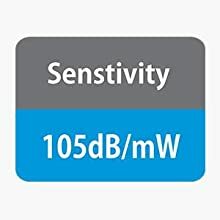 With a high sensitivity of 105dB/ mW, these headphones are highly efficient in converting electricity into acoustic signals. This means you’ll hear a louder sound across the entire audio spectrum (compared to less sensitive headphones) when listening to music through the same source and at the same volume level. If you run out of battery. 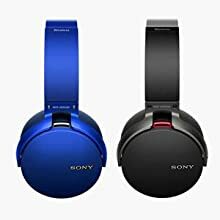 Then you don’t miss your music, you can just connect the supplied audio cable to your headphones and plug into your favorite music player for high quality sound. 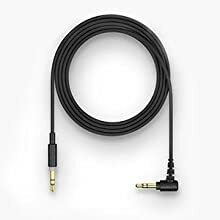 The cable is 1.2 meters long and designed for durable everyday use. Choose from black and blue to best suit your style.